South and North Korea on Wednesday agreed to jointly establish measures to combat infectious diseases, including tuberculosis and malaria, during an inter-Korean meeting of the two countries’ high-ranking health officials held in the North’s border town of Kaesong. The agreement was reached after Kwon Deok-cheol, South Korea’s vice health minister, and his North Korean counterpart, Park Myong-su, discussed ways to expand cooperation on health care policies at the joint liaison office in Kaesong. “South and North Korea have agreed to launch a demonstration project this year, where (the two counties) will be sharing information on infectious diseases,” the joint statement said. The two Koreas also agreed to collaborate on diagnosis, prevention and treatment of infectious diseases in both countries, including TB and malaria. It has been reported that North Koreans are susceptible to a wide range of infectious diseases that have mostly been eradicated in developed countries. “North and South Koreas are actually very close in distance, and virus-carrying insects and mosquitos can always spread (across the border),” said Kwon. Park agreed that, from an epidemiological perspective, the two Koreas are so close that an outbreak in one country could affect the other. Wednesday’s meeting in Kaesong was the first inter-Korean discussion on health care policies in 11 years. 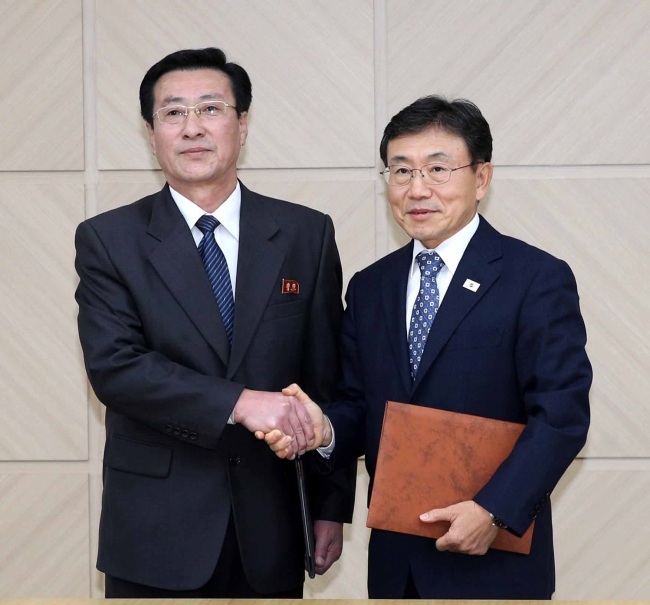 Seoul and Pyongyang last held similar talks in 2007. According to the World Health Organization, North Korea spent less on health care per capita than any other country in 2009 -- under $1. In June, the Global Fund to Fight AIDS, Tuberculosis, and Malaria suspended grants to combat TB and malaria in North Korea for unclear reasons. Seoul and Pyongyang have been holding a number of meetings on prospective inter-Korean projects and cooperation, including those involving railway connections, reforestation and health care, with the goal of easing tensions between the two countries.